The work our team does towards migrant identification has many benefits and many applications. 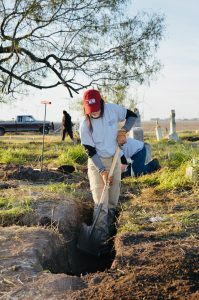 The most obvious of which is to identify and repatriate persons that perished in the Texas Borderlands by volunteering a specialty forensic science to communities that are unable to afford investigations into identity. Additionally it provides a learning experience that is not attainable in any textbook. 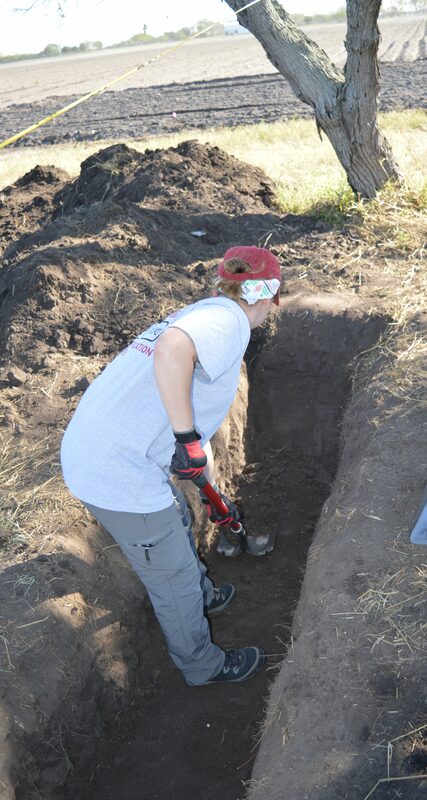 UIndy students are applying the forensic science skills they’ve learned in the classroom to this humanitarian crisis. 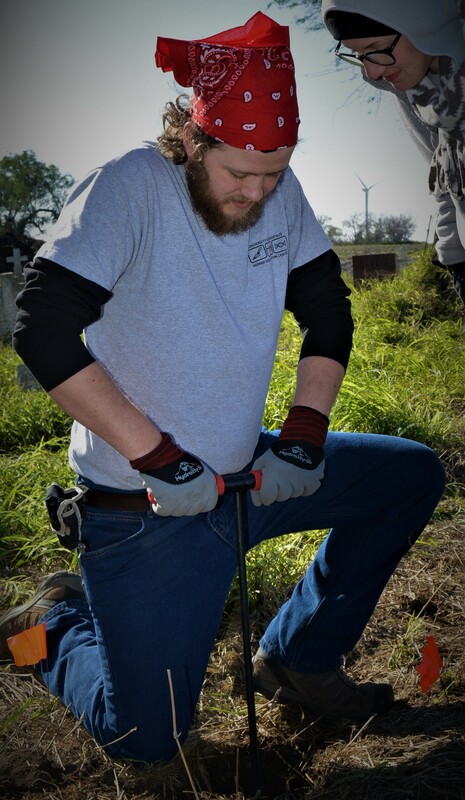 This work exemplifies UIndy’s motto: Education for Service. In addition they are applying problem solving skills and critical thinking, working as members of a team, learning to navigate a socially and politically charged environment, expanding their professional development as they work with professionals and peers from other institutions, delving into border issues and becoming humanitarians and global citizens. I asked each of the UIndy Beyond Borders team members to tell me something new they have learned while working on these exhumations or a unique application of something they learned at UIndy. Jessica: One of the things that I have learned is not necessarily something that I learned in the classroom but more experience based. It is so important to be able to adapt to your surroundings, especially when any given situation can change. 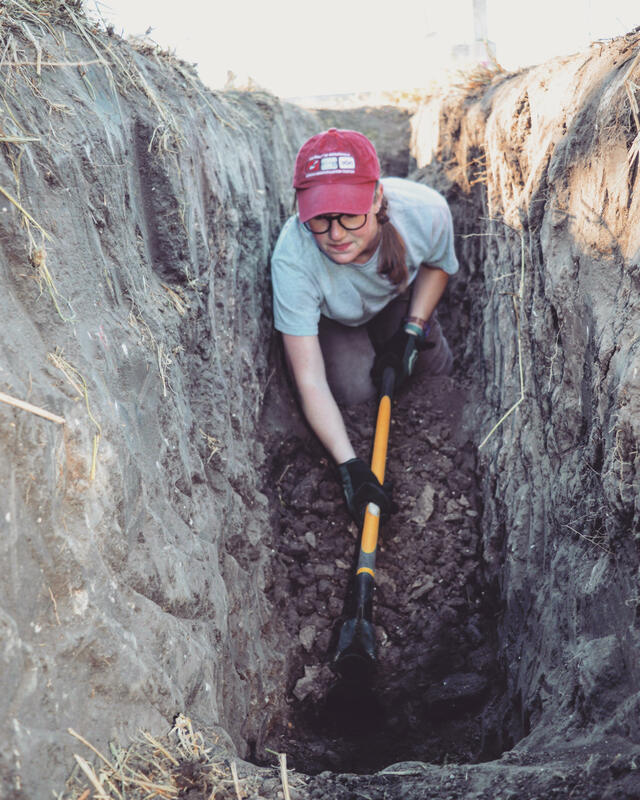 Every field season we constantly stress to expect the unexpected because with every day, each field season, and every new cemetery, nothing is the same.Its stressful but over time you learn to adapt to those unexpected changes. Sometimes, you come away feeling that you should have been more prepared or spent more time prepping; but in reality, it doesn’t always matter how much prep or planning goes into something because in the end, you may end up taking a whole new path. Texas has taught me a lot on how to adapt in stressful situations. It has given me strength that I didn’t know I had. Feelings of empathy and sadness gives every field season a bitter sweet ending and I couldn’t be more grateful for this opportunity. Leann: Through my experiences in South Texas, I have learned more about the value of human life and how these values are grossly neglected for certain populations within the United States – a reality rarely realized and/or fully understood in the Midwest. It has taught me how to be an advocate for human rights and for dignity in both life and death, regardless of who you are or where you come from. Jordan: Thanks to my participation in this field season in South Texas, I have come to appreciate that the methods taught in the classroom are not fixed laws and must be applied flexibly to any particular situation. Sammi: It is entirely impossible to explain the change of heart that I have experienced while serving in this large-scale identification effort. This project is for the people who lost their lives in search of a safer, better life for themselves and their families than they would be able to achieve in their corrupt and poverty-ridden homelands. I have gained a deepened perspective on the value of human life, no matter where you come from, and how trivial many my struggles are in comparison to so many others once you truly open your eyes.